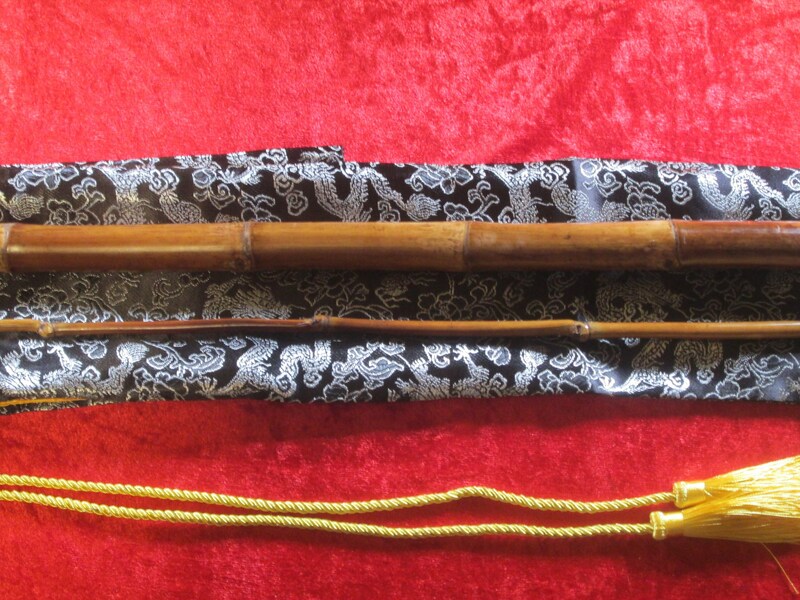 Gorgeous Two Piece Calcutta Bamboo Cane Set (Handmade) with Silk Storage Bag! 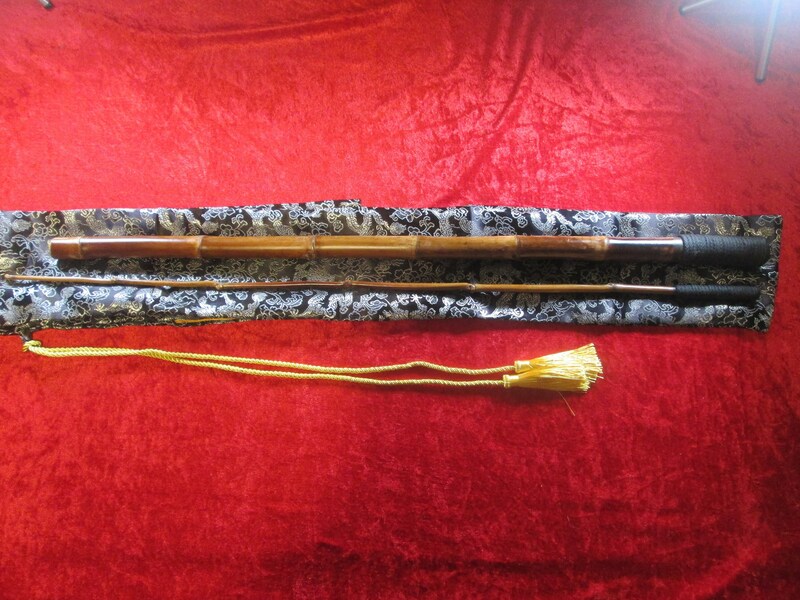 This is a beautiful two piece cane set made from Calcutta bamboo. 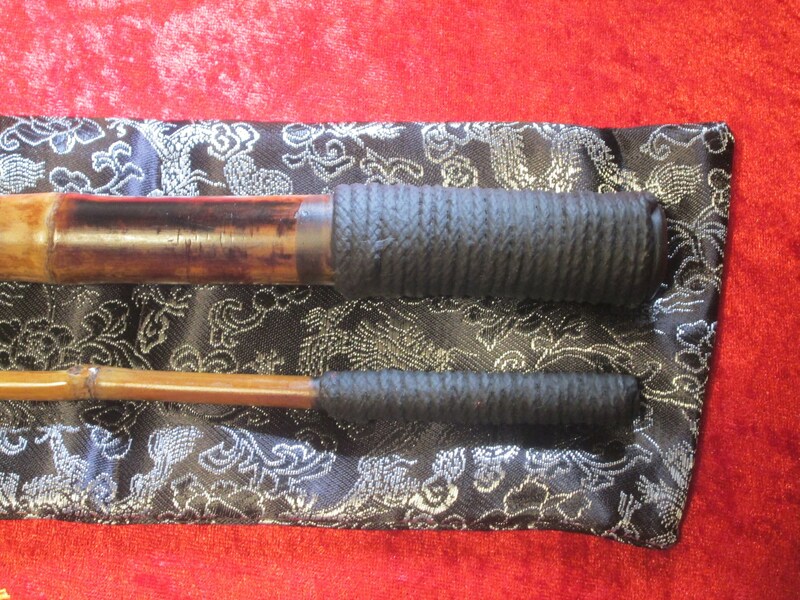 The smaller cane is approximately 1/2" in diameter and is about 27" to 32" long. The larger cane is approximately 1" in diameter and also about 27" to 32" long. The price shown is for a set as shown and comes with a gorgeous silk bag for storage. Patterns on silk bag may vary from what is pictured. HOWEVER, as with all items from our site, please play safely. These items can cause serious injury if used improperly. Purchase $100 or more from us and receive FREE SHIPPING in the US when you use the code SHIPSFREE. Customer is responsible for any possible additional customs charges on overseas shipments. All of the items I have listed are handmade and are top quality. As each item is handmade, each piece if also unique and details may vary slightly from what is pictured. Please check out our other things for more beautiful, handmade items. Looking for something unique that you don't see listed? Email us and ask. Custom orders are welcome.